Rogue and Gambit Celebrate: 7000 and Counting! A year ago at this time we had just started our @xmentas Twitter feed, and we were trying to get this site up and running. So yesterday’s passing of the 7000 mark in Twitter followers was gratifying. In four months (October 31st) we will reach the 25th anniversary of the sneak-preview premiere, the first public showing of the first episode of X-MEN:TAS. 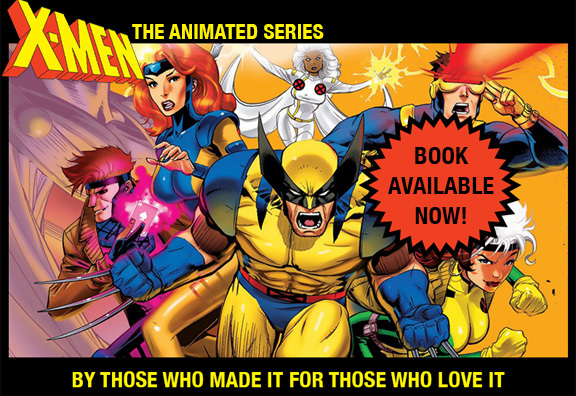 By then our book about the making of the show (Previously on X-Men — over 500 pages) will be out, and the celebrations can seriously begin. Until then let’s just join Rogue and Gambit in moment of thanks for our getting this far.